The Youngbloods had not owned a boat nor had much experience but they had dreams, big dreams, of taking a trawler to the far reaches of the globe. Dreams they shared together for years… Both had done their homework, studying all the facets of long range voyaging under power. We wrote the order for their Selene 53 and they began working with the builder, Howard Chen, to make their Selene. Mystic Moon arrived in Seattle and the commissioning process began. I also began their training at Friday Harbor. We did several days of docking and other boating functions. 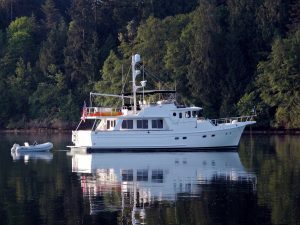 Then buddy boated on some short trips and the final exercise was a rally circumnavigating Vancouver Island. 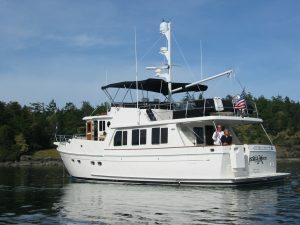 With a circumnavigation of Vancouver Island and a trip to SE Alaska under their belts the once novices were now quite experienced and accomplished boaters. They often helped the other new Selene owners with different concerns and soon became icons in the Selene world. Mystic Moon departed the security of the Pacific Northwest and ventured down the coast to California, joined the FUBAR rally to Mexico and transited the Panama Canal to spend a few years in the Caribbean. I was elated to hear that they now were about to make the long passage across the Pacific. Furthur, to that date, had been the only Selene to cross the Pacific Ocean. They took two years in the Pacific, spending off time in New Zealand. Then headed to SE Asia. I started hoping for the great Selene rendezvous. From Indonesia to Thailand they followed our path and then across to the Philippines. Then one day I made the VHF radio call I had made so many times back in the Pacific Northwest, “Mystic Moon, Mystic Moon, this is Furthur” to which I gleefully got the response back “Furthur this is Mystic Moon, go to 68”. 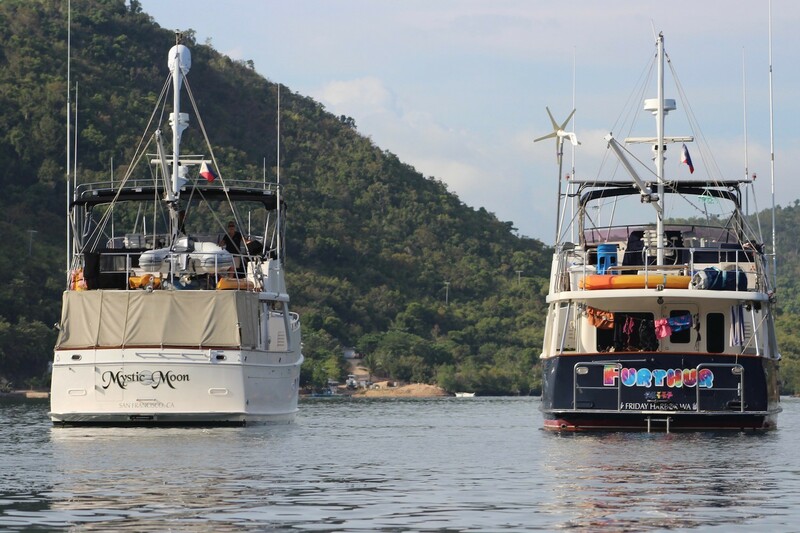 Mystic Moon pulled into Busuanga Bay and anchored next to Furthur, again just like old times. We enjoyed Kathy and John’s company for a while, and I showed them around what is now my favorite place, Coron Palawan. Sadly, their time in the Philippines is short as they are on a move to make another epic passage to Japan, Alaska and back to the PNW. A trip that requires rigorous attention to weather windows. After a decade of cruising, grand-kids are calling them back home. So ended the rendezvous of the two most traveled Selenes, Mystic Moon and Furthur. If there is anyone I know who lived by my motto, it is the Youngbloods, who truly did make their Dream their Story.